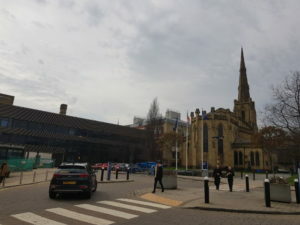 Early bird registration rates have been extended to the 20th of March, see the local EMiT2019 registration pages for further details of how to register at this low offer rate before it increases! The full programme for EMiT 2019 is now available. Three key note presentations confirmed for EMiT 2019: Prof. Veljko Milutinovic from Indiana University, Bloomington will be discussing DataFlow SuperComputing for Big Data Analytics. Joining him will be Dr Peter Hopton, the founder of ICEOTOPE liquid cooling technologies who will be talking about Hardware and Infrastructure Technology Challenges to Achieving ExaScale – and EuroEXA’s Answer and Dr Torsten Hoefler from ETH Zurich talking about High-performance communication in Machine Learning. Abstract submission for EMiT 2019 is now closed. Submissions are being reviewed and authors will be informed by the 11th of February. A Deep Learning workshop delivered by an accredited NVIDIA tutor combined with a tutorial on developing similar algorithms using a neuromorphic “spiking neural net” architecture called SpiNNaker via a software tool set called SPANNER. Download the programme here. A Quantum Computing workshop delivered by IBM Research, including practical hands-on programming experience using real quantum hardware. Download the programme here. 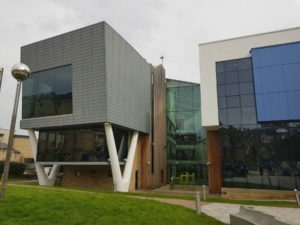 The University of Huddersfield has a vibrant history in supporting new technologies and their uptake in industry, located in the historic West Yorkshire area of England in the United Kingdom, EMiT2019 will be held in one of its new buildings and hosted by the High Performance Computing Research Group from the School of Computing and Engineering. The 2019 event promises to be even bigger than the last main EMiT event at Barcelona Supercomputing Centre, we are excited to provide a platform for the current state of the art in computing and the organising committee looks forward to meeting you there! Computational hardware is changing rapidly. Two decades ago, all we needed to know was the speed of upcoming hardware, not its form or the state of its software frameworks. This is no longer true with new and novel highly parallel computing architectures being unveiled continuously. This forces important questions about re-coding and future proofing existing scientific software. Emerging Tech describes this continual change of hardware and algorithms, and EMiT – through international conferences, workshops and community fora – is here to help everybody make optimal use of these. The EMiT (EMerging Technology) conference series brings together experts from all areas of computing to examine how to best take advantage of the changing landscape of computer hardware and overcome research barriers for fields such as computational fluid dynamics (CFD), computational mechanics, life sciences, and financial modelling. Building on the successes of EMiT@CIUK 2017, EMiT2016, EMiT2015 and EMiT2014, the next EMiT will continue to provide a platform for the cutting edge in computing technologies as well as broaden its international reach.